Manila: From a distance, Manila’s new Nike Hyper Courts ooze basketball vitality. 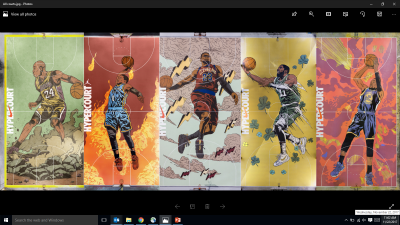 Richly illustrated by Arturo Torres, each of the five courts carries a super hero version of a basketball superstar: LeBron James, Kobe Bryant, Kevin Durant, Russell Westbrook and Kyrie Irving. Pull out, and the courts offer more than just comic book charm. An outline of a phone, which forms a portion of Titan Love Court in BGC, teases the Hyper Court’s secondary appeal: Each court unlocks exclusive HD basketball content direct to mobile web. Powered by Google, this content is delivered data-free, including training drills, elevated member activities and the best of Nike global basketball content. For example, videos from experienced coaches relay drills that address power, quickness and versatility tailored to different types of players. The program also learns and makes recommendations from continuous user interaction, which helps promote ongoing progress.